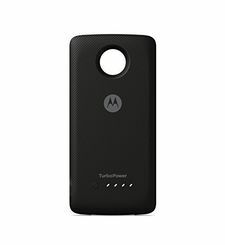 The 1035 mAh built-in battery powers your moto gamepad for up to 8 hours* without recharging. Handheld console. Transform your phone into a handheld gaming console in a snap. Real buttons and controls. Use dual control sticks, a D-pad, and four action buttons for a true gaming experience. 1035 mAh battery built-in. The built-in battery powers your Gamepad for up to 8 hours without recharging. No pairing required. Experience responsive control in a snap without the hassle of Bluetooth® pairing. 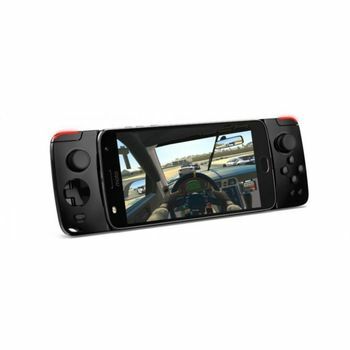 Moto Gamepad works with controller compatible apps. The button functions are defined by the game you choose to play. To turn off the Gamepad lights, press the Home and X buttons. 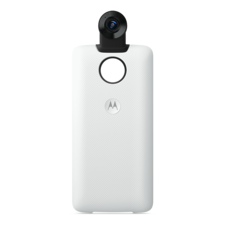 Browse compatible games in the Google Play Store, or in the moto game explorer app.